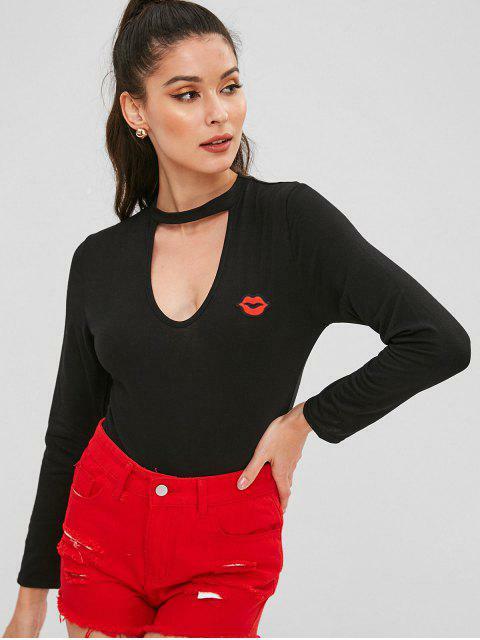 [57% OFF] 2019 Lip Patched Choker Bodysuit In BLACK | ZAFUL .. The choker collarline lends a flirty look with the fierce cut-out detailing on the bodice and the lip embroidered design at the chest adds a cute yet delicate touch to this long-sleeved bodysuit. The snap-button closure at the gusset ends the look. It is the sleek piece that you can tuck into your favorite high-rise jeans to complete the look.